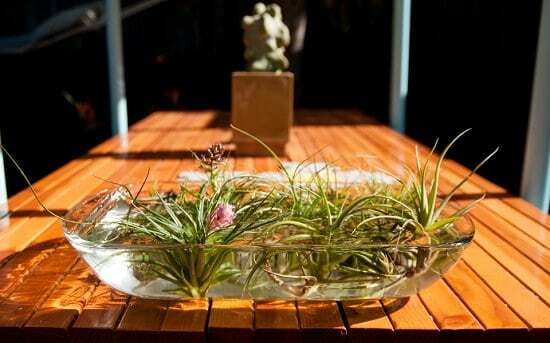 Learn How to Water Air Plants in this article. As growing air plants is easy, but Watering Air Plants is tricky. Although, it’s not difficult if you understand the process well! 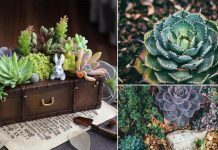 Watering Air Plants can become a tricky business especially if you are among those who believe that air plant only needs air to survive. The reason behind them being called Air plants is because they do not require soil not because they can survive without water. So now if this misconception is clear let us know more about How to Water Air Plants. Should You Water Air Plants? In their natural habitat, air plants absorb moisture from the surrounding air. The environment in those rainforests remains humid. But if you have them as a houseplant fulfilling their watering needs become mandatory as indoor air remains dry. How to Find out if Air Plants Need Water? If your air plants are looking less vigorous and dull, leaves are curled, they need water. 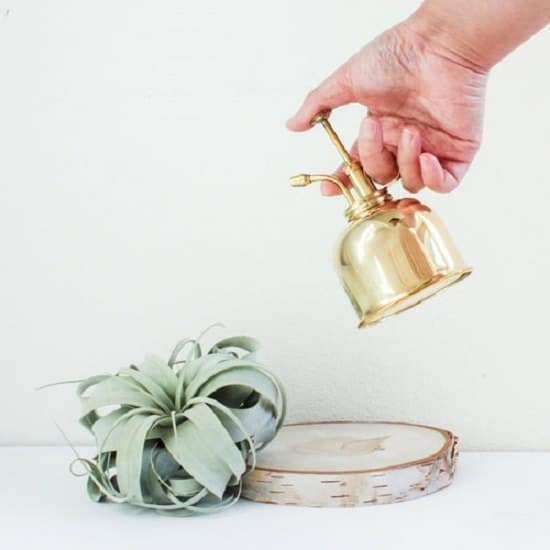 If in case your air plants are underwatered for a long time and dying in neglect, save them by following these tips here! How much water your air plants need and how frequently, it depends upon the climate and season. In summers when the weather is hot and dry, bathe air plants more frequently, i.e., about once a week. 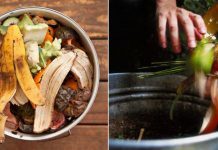 In the winter season when weather is cold, soaking them once in two to three weeks is enough. Take note of the health your plant with the changing seasons and increase or decrease watering according to that. Water according to the air plant species you’re growing. Research about its native habitat, if it grows in shady-humid lower levels of rainforests or on the Andes in full sun. Remember that gray and white air plants with thicker leaves require less watering and humidity. Green species of air plants with finer leaves need more watering and humidity. Just like other houseplants, air plants don’t tolerate chlorinated water. It’s better to find out your water is free from high chlorine content. If you use tap water, make sure that you let it sit undisturbed for minimum 12 hours and maximum 24 hours. 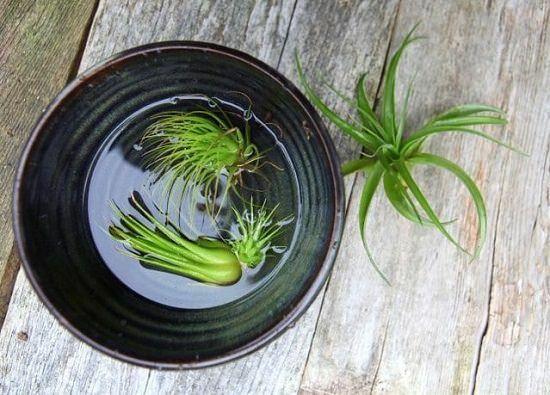 This way the chlorine present in tap water will evaporate, making it suitable for air plants. Air Plant Tips Turning Brown is a sure sign that chlorine is present in the water you’re using. Alternatively, you can also use rainwater, aquarium water, spring water, lake water. Avoid using distilled water as it is free from all the minerals that air plants need. One common method most people use to water air plants is Spritzing. You can use a misting bottle for spritzing air plants two-three times in a week. This method of watering air plants is sufficient if you live in humid conditions or if the air plants are in greenhouses. But if you have dry indoor conditions than spritzing alone won’t be enough. What else to do then? Well, continue reading. It might be clear from the title that we are going to discuss on soaking air plants. But why does the need for soaking arise? Isn’t spritzing enough? To answer it simply, it’s not! In dry indoor conditions, air plants can’t solely survive on spritzing. Dunking them in water is the best way to ensure that they remain fresh and growing. Apply this soaking method once a week for around 20-30 minutes in a cool climate and 30-60 minutes in a hot, arid climate. In every 3 weeks give your air plants a good soak for about a couple of hours long duration, especially in summers. You’ll need a bucket, bowl or sink to submerge them in water. For this, use room temperature water! Keep them in water for some time (as instructed above) and make sure to keep the water level high enough to cover entire plants. After a good soaking, lift the plants up in an upside down position. Get rid of excess water present on or inside the leaves by shaking the air plants. 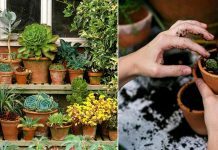 Before returning the plants to their original spot ensure there is no water left on the leaves and they’re fully dry to touch. If necessary, place the plants on a paper towel in a bright spot for a while. Once dry, bring back the plant to their location. Over Watering Air Plants. Is it Possible? Air plants don’t absorb moisture and nutrients through roots, they do this from their fine hairlike silvery trichomes present on leaves. They absorb water as much as they need, the problem of overwatering arise when you don’t dry them well, accumulated water between plant leaves causes the rot. Keeping them in a location with poor air circulation, in closed terrariums, and wet surroundings are the huge mistakes as well. Tip: Always consider the air plant type you’re growing and your climate to determine the watering schedule.